Eastdil Secured, L.L.C. "The Real Estate Investment Banking Company"
MERSCORP, Inc Set up by the banking industry to rapidly package and sell mortgages as securities. 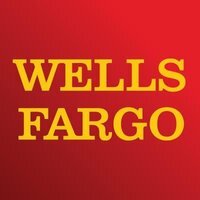 Wells Fargo Regional Foundation "supporting the revitalization of low-income communities located in New Jersey, Delaware, and eastern Pennsylvania." Philadelphia Police Foundation provides charitable gifts, in-kind services, and corporate sponsorship funding to the PPD.